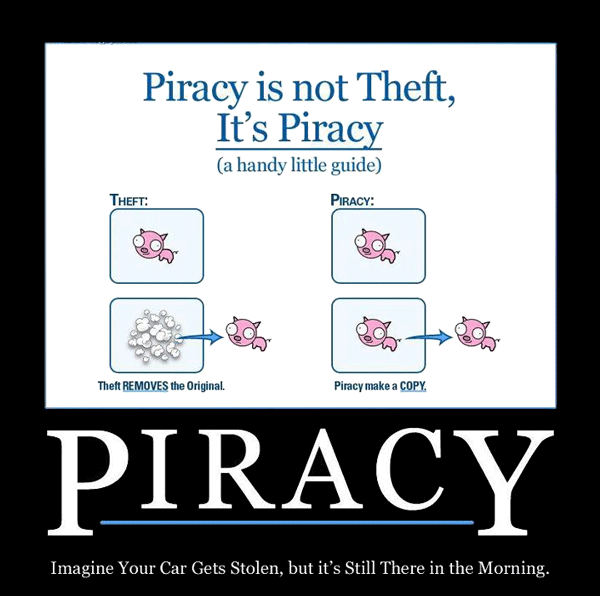 Piracy: Imagine your car gets stolen, but it's still there in the morning. Created about 7 yrs, 9 days ago (April 13, 2012). Updated about 7 yrs, 9 days ago (April 13, 2012).